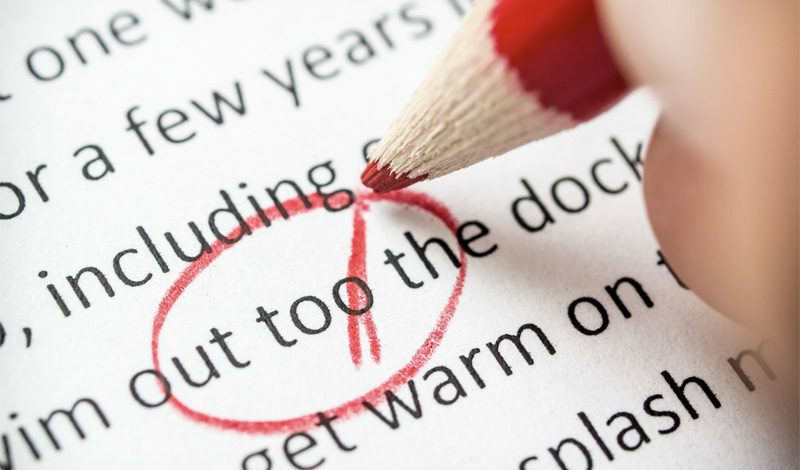 While a portfolio may indicate a writer’s or artist’s talent level and style range, some freelance subspecialties are a bit more difficult to assess–in particular, copyediting and proofreading ability. In my own business, for example, I will generally offer a brief editing sample for a book author before we come to an agreement and I provide an estimate. Honestly, it’s in both parties’ best interest to do so prior to commencing on such a large, intensive project. If you choose to have such a freelance candidate take a test, it can be paid (which would allow you to use the work) or unpaid (which means those edits should not be used). The Editorial Freelancers Association offers suggested guidelines for editorial testing that are worth reviewing in full, but some of the key points include that an unpaid test should take no more than an hour, and that such work should not be used for published or live content. Asking someone to take a test or provide a sample is also distinct from the perfectly legitimate practice of hiring someone to do a small paid project as a trial period before committing to a larger agreement. Time permitting, it makes perfect sense to discover whether a freelancer’s talents and work style match up to your needs. Your best results from a freelance relationship will come from loyalty and productivity over the long haul. Any work requested and performed before a formal agreement should be done with a fair business deal in mind, just as you want from the client side. You may be hiring a freelancer for an important project, but it would be unreasonable to subject someone to a lengthy vetting process more suited to a full-time employee. To have the freelancer do work for free under the guise of testing, however, is simply unethical.